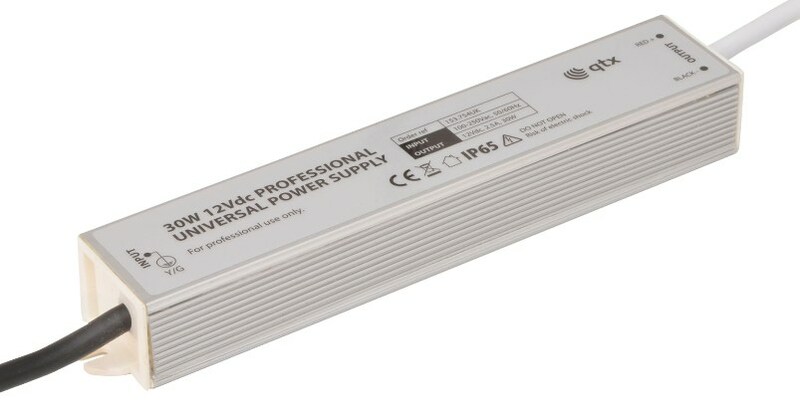 A compact 12V 30 Watt constant voltage DC power supply. Designed for use with our range of flexible LED tape. Housed in a sturdy aluminium body, with IP65 rating. They will operate from a wide range AC supply, have in built thermal, over voltage and short circuit protection. Supplied with approximately 200mm leads.